Nowadays there are two local lifeboats. The Gorleston Lifeboat is run by the RNLI, whereas the Caister one is run independently. 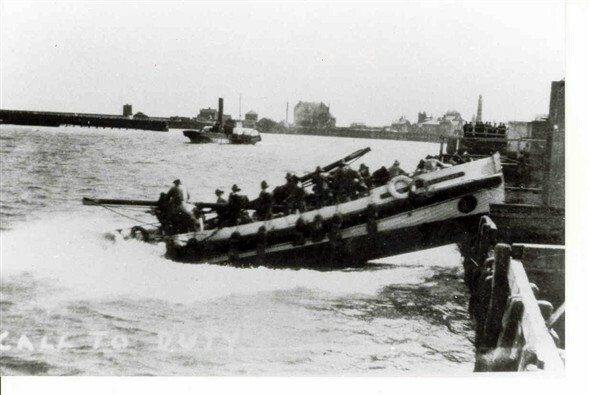 We don't have any photos of the Caister boats, but we have found out that the top one is the Louise Stephens, which served at Gorleston from 1939 to 1967. 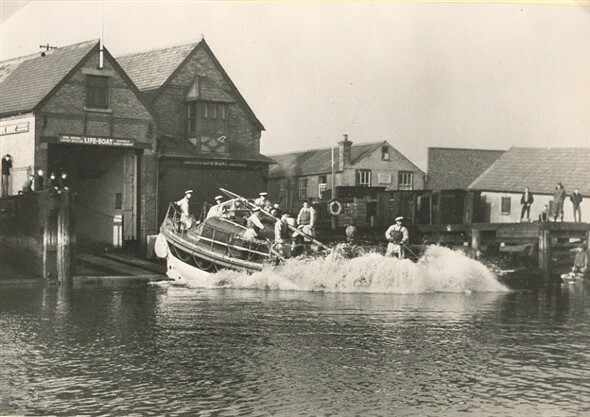 The website of the Great Yarmouth and Gorleston Lifeboat http://www.greatyarmouthandgorlestonlifeboat.org.uk/gallery-historical.html tells us that coxswain Paul Williment was in charge when the photo was taken, that is in the years between 1954 and 1958. This page was added by John Layton on 23/02/2007. The second picture is of the 'Elizabeth Simpson' She was a volunteer lifeboat from 1889, before the RNLI was formed, and remained volunteer until 1939 when she was decomissioned. I am currently acting for the owner with a view to forming a trust to restore and maintain the boat. I do have most of the services the Elizabeth Simpson from 1891 plus newspaper cuttings from when the E. S. was brought to Gorleston. I was a close friend to the last surviving crewman Stephen Daniels who died not so long back,he was well over 80.